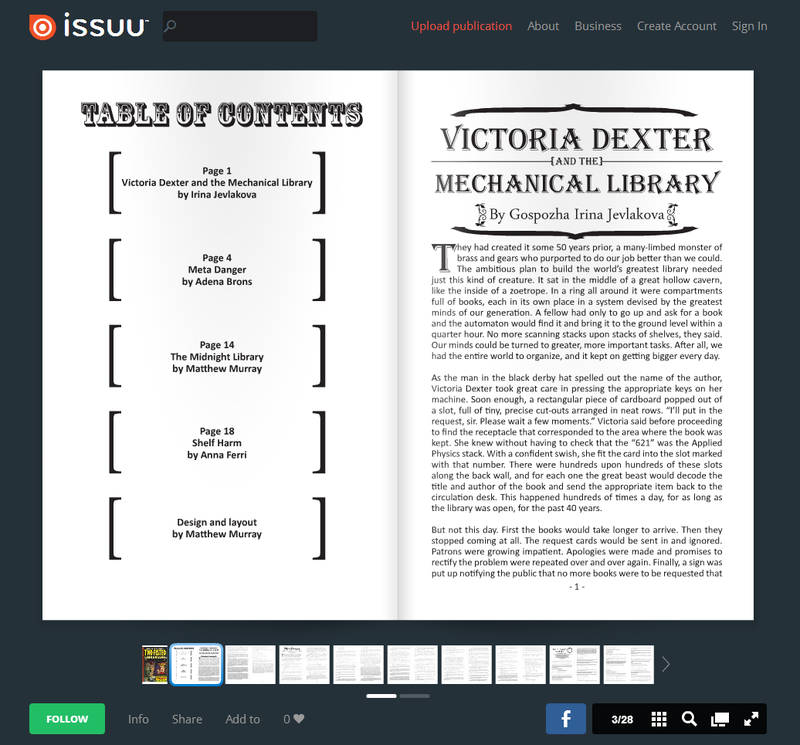 In anticipation of our second issue coming out, I decided to put the first one up on Issuu! You can now read the entire thing if you haven't had a chance to before! There are still copies of issue one available to buy if you want a print version! Send us an email, or wait until I put them up on Etsy again. So why did we put it on Issuu? Well Ben Blacker, co-writer for the Thrilling Adventure Hour, Wolverine: Season One, Thunderbolts, and more, told me that I needed to put it online because that is "where people live".